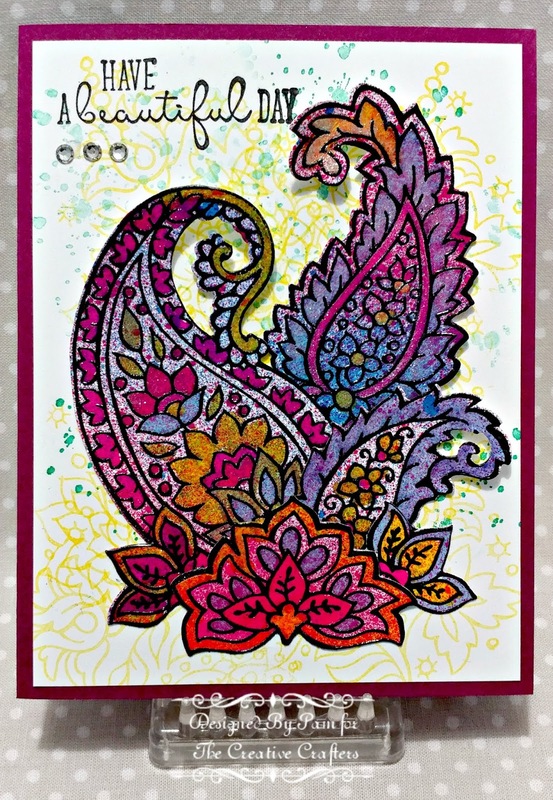 The stamp and die cut set is Stampendous Paisley Pattern. For the background I stamped repeatedly with one of the stamps from the set in yellow ink. Then stamped with a droplets image in green. The droplets and sentiment is from the Club Scrap Daffodils collection. I got some glitter inks at Hobby Lobby for $1.24 each! 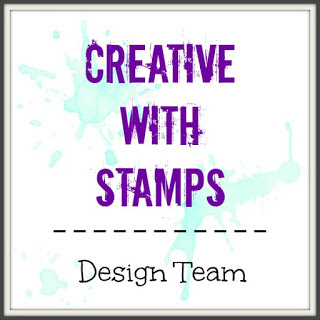 I embossed the stamped images with black embossing powder. 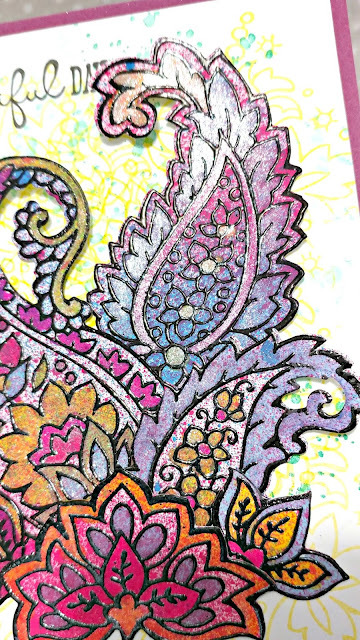 Spritzed them with Dylusions inks, then colored in certain sections with the glitter inks. The photo doesn't do it justice-it's so glittery it shines! 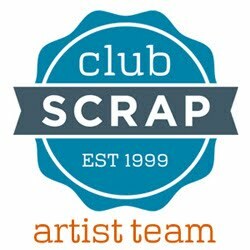 Make sure to stop over to The Creative Crafters and link up something of your own! Beautiful coloring! Love the touch of glitter.